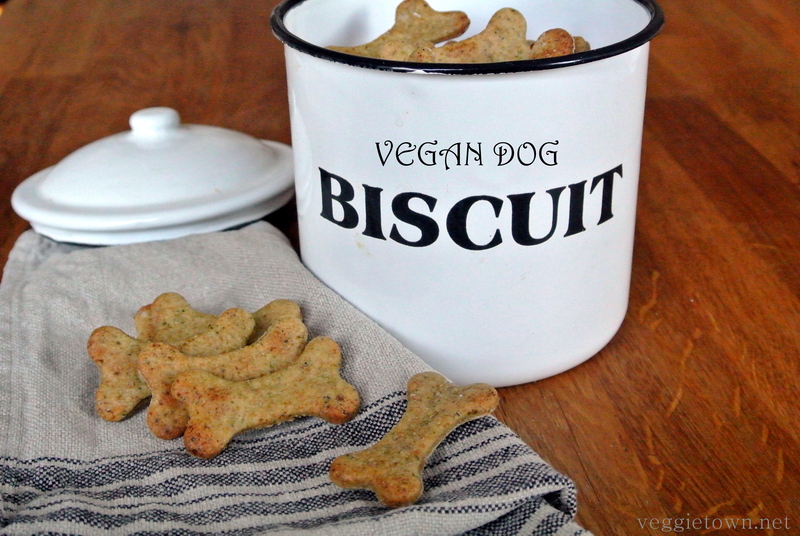 Vegan Dog Biscuit are my first attempt on a homemade treat for our pug Greta. 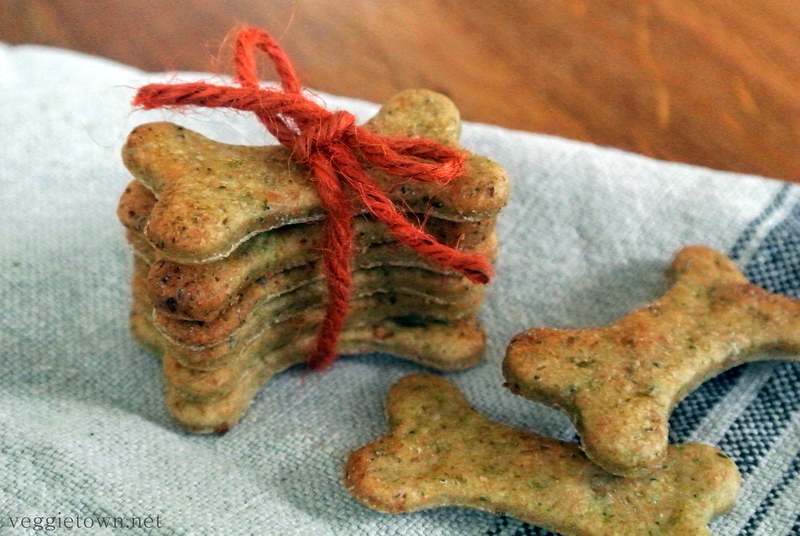 I have wanted to prepare my own dog treats for quite some time now. I mean, most goodies on the market are not vegetarian and they often contain several additives such as coloring agents. 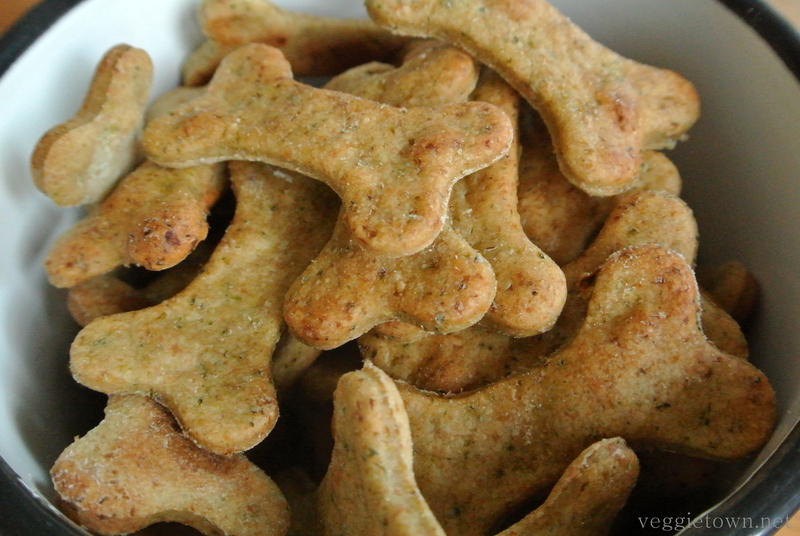 Although our dog doesn’t eat vegan feeding it sure feels good to prepare homemade treats that doesn’t contain animal produce. Good for her, good for the animals and good for the the globe! Greta loved the biscuits that I made! I would say at least as much as the ones we normally buy at the pet shop. She sat patiently next to the oven and smelled her biscuits being baked. I had told her it was for her and she was very keen on trying them. I was all very cute. The biscuits are made of spelt flour. You may of course swap this for wheat flour but spelt is a better choice from a nutritional point of view. I have also added peanut butter, carrot, banana and parsley. All to make it as delicious as possible. Aside from the natural sweetness in the banana I haven’t used any sugar or sweetener. Dogs shouldn’t eat sugar and I find it very unnecessary to accustom her to the sweet flavor. And Greta certainly didn’t complain! Heat the oven to 175°C /350°F. Divide the carrot in smaller pieces and place in a food processor. 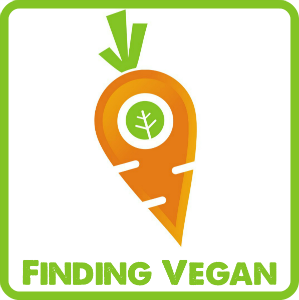 Blend until you have fine carrot sprinkles and then add banana, parsley, peanut butter, oil and water. Mix into an even pure. Combine the two types of flour with the baking powder and blend thoroughly. Add it to the pure a little at a time until you receive a texture similar to pastry. Adjust the amount of flour so that the texture is soft but not sticky. Roll the pastry out to a 0.5 cm thickness on a lightly floured surface. Cut out biscuits with desired cutter and place on a baking tray covered in parchment paper. Bake one sheet at a a time for about 10 minutes. This entry was posted in Dog Treats, Sweets and Snacks. Bookmark the permalink.